Workshops and panel discussions at the Multimodal show on 18-20 June will feature the challenge of attracting, retaining, and developing the next generation of industry professionals in the face of a growing skills shortage. Day three of the free-to-attend show at the Birmingham NEC will be dedicated to seminars exploring practical solutions to attract new talent through apprenticeships, school outreach programmes, and community networking. Head of logistics at Career Ready UK, Ian Nichol (pictured), commented: “We need to challenge the view that the logistics industry is about trucks and sheds and show young people that it’s fast-paced, dynamic, and ripe with opportunities for personal growth and career development,” said. “In order to stay on top of the recruitment game, we will be looking at what practical measures logistics companies can take to improve recruitment of new staff and develop them so that they stay in the industry. 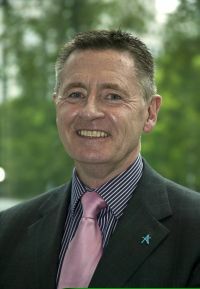 Robert Jervis, logistics portfolio director at show organiser, Clarion Events, added: “Multimodal is partnering with National Careers Week to create opportunities for companies and organisations to connect with schools and colleges to increase opportunities within the industry. The programme will also include a workshop with BIFA training development manager Carl Hobbis, who will talk about apprenticeships, best practice tips for attracting, retaining, and developing early talent, and how these benefit employers and employees.